Pushing Daisies Episode Guide, Photos, Quotes & More from "Bad Habits"
Was this one of the funniest Pushing Daisies episode of all-time or what? We cracked up when Olive - Olive Snook, that is - first recruited Emerson for the case, seriously and covertly explaining what went down at the convent. 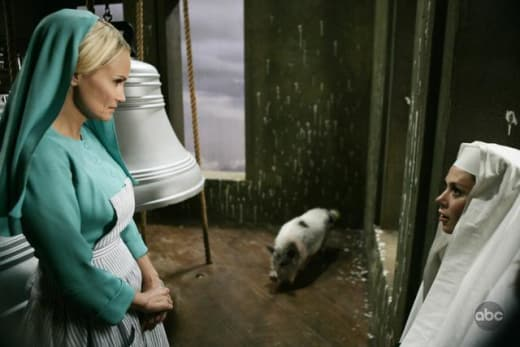 Read about it yourself with our Pushing Daisies episode guide. It's chock full of references, quotes and new photos from "Bad Habits." Talk about last night's episode in our forum!